Click here for audio of Episode 998. Today, an old old cog railway in New Hampshire carries us past danger. The University of Houston's College of Engineering presents this series about the machines that make our civilization run, and the people whose ingenuity created them. September 19, 1969: Ellen Teague, president of the Mount Washington Railway Company, rose to address the American Newcomen Society. "Journey back with me to July 3, 1869," she said -- the day the first cog railway ever ran to a mountain top. And so, that night, she celebrated the centenial of this remarkable old system. Mount Washington is no ordinary mountain. It rises abruptly, from a base fairly near sea level, 6300 feet into the sky. It's the highest mountain in the northeast quadrant of America. Two things seem to draw us, like magnets, to its top: One is a perfectly spectacular view. The other is the worst weather on earth. It reaches up into what meteorologists call gradient winds, winds free of surface obstructions, purely driven by high-altitude pressure gradients -- like the powerful Westerlies that boost you to London two hours faster than you can fly back to New York. The wind has reached 231 mph on Mount Washington. Weather can change, in a blink, from calm, warm, and sunny to a winter blizzard. By 1869, when the cog railway went in, three men and one woman had already died on the mountain. The center of the track is a long rack of gear teeth. 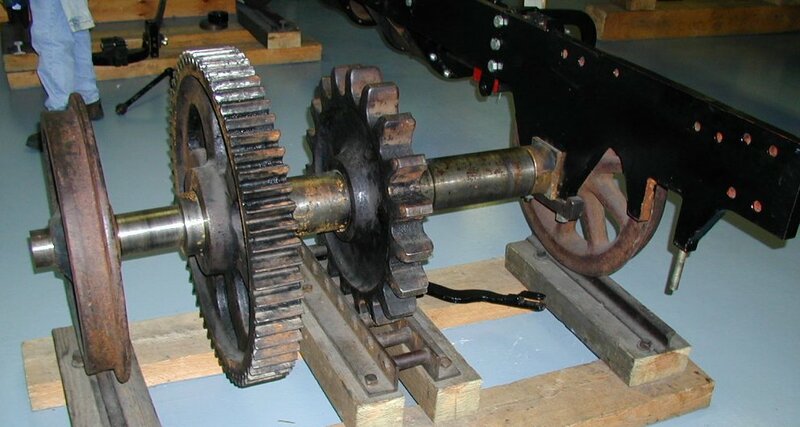 A gear on the locomotive engages those teeth to drive the train upward. The grade reaches over 34 percent -- far too steep for friction to hold iron wheels to a track -- so steep the locomotive has to be bent at the cab to keep the boiler horizontal. Ellen Teague ran the railroad from 1967 to 1984. Then it passed to Joel Bedor, who now keeps this remarkable tradition intact after a century. On a sunny day in the fall of 1954 I was on a three-day pass from Fort Monmouth, New Jersey. 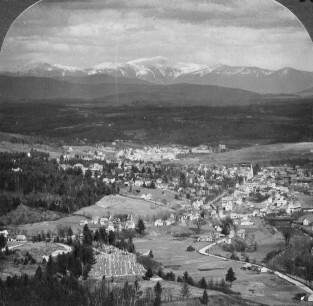 I'd set out with a friend from my barracks to climb the mountain -- on foot, not by cog railway. We were young men escaping the oppressive safety of a peacetime army. 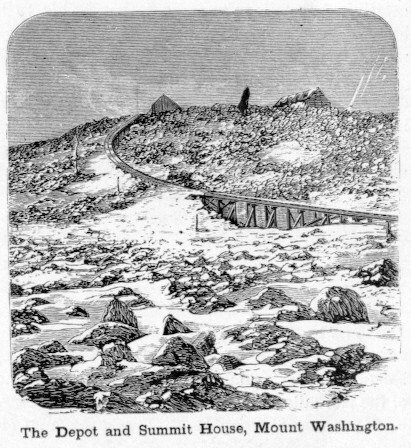 The 39th and 40th Mount Washington deaths had occured a few months before -- climbers, like me, caught in an avalanche. But we reached the summit without incident. We saw the important observatory and weather station that's been there since the mid-19th century. We saw the cog railway making its stop. We gazed across New Hampshire and Maine toward the Atlantic. No menace that day. Yet the death toll has risen even faster since then. In 1994 Sarah Nicholson, skiing on the mountain, looked up and saw a huge block of ice falling toward her. She might've skied out of its way, but it broke up and spread out around her. She became the 115th victim of that lovely, treacherous place. But, all the while, the old cog railway remains. It is a fine, and safe, piece of human ingenuity, still mocking the lure of danger around it -- after 126 years. 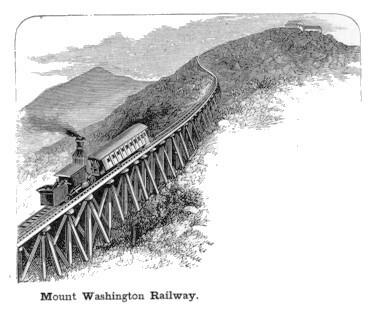 Teague, E.C., Mount Washington Railway Company: World's First Cog Railway, Mount Washington, New Hampshire . New York: American Newcomen Society, 1970. Howe, N., Mount Washington, Fatal Attraction. Yankee , February, 1995. 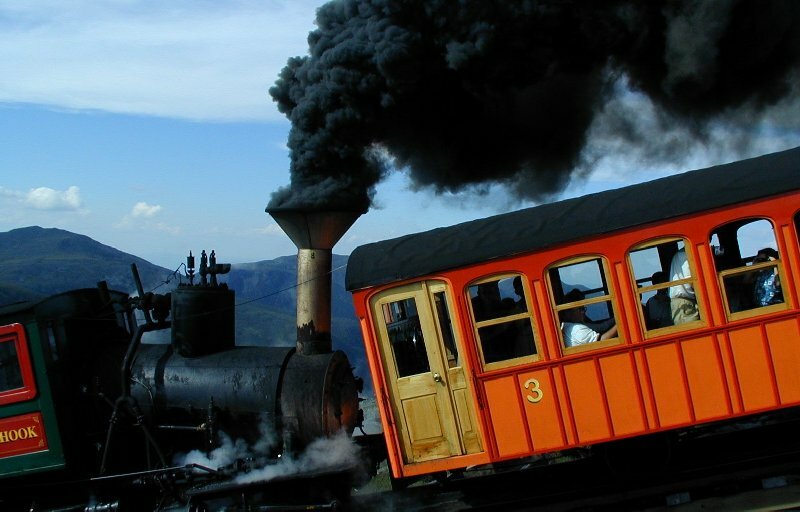 As to the safety of the cog railway itself, five people have died on the railway -- none in recent years, and all in extraordinary circumstances. 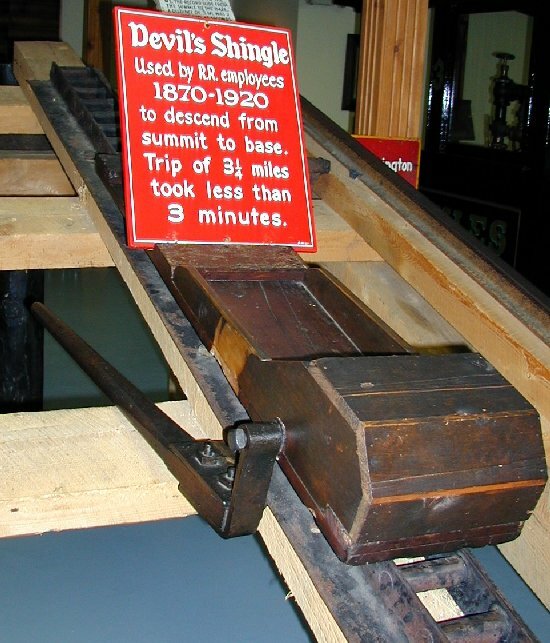 Three were using the center cog rail as a kind of slide and riding on a tiny flat sled called a "Devil's Shingle." 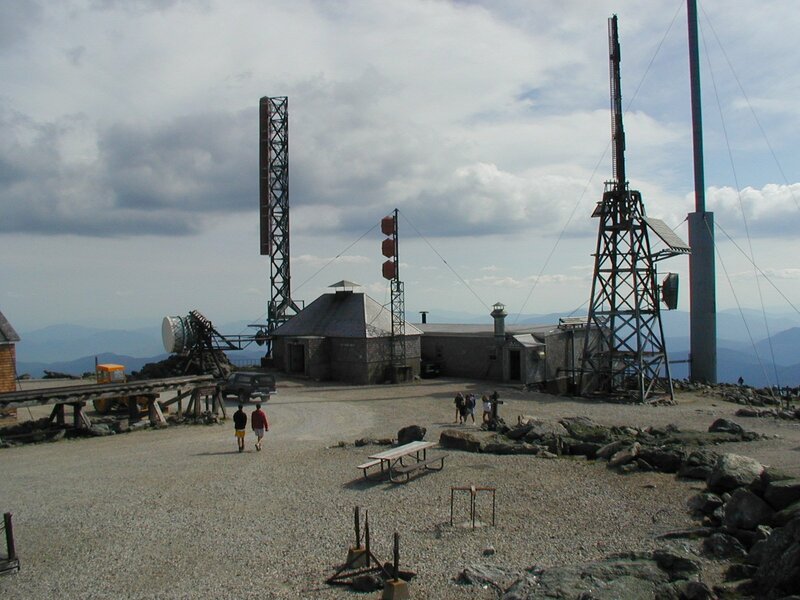 I am grateful to Joel Bedor, President of the Mount Washington Railway Company and Mount Washington Inn, for counsel on the history of the railway; to Pat Bozeman, Head of Special Collections, UH Libraries, for providing the affecting Howe article; and to meteorologist Warren Culbertson for explaining the importance of the Mount Washington meteorological station.